As the United States of America grew and prospered, the country wanted to celebrate the 400th anniversary of Christopher Columbus's discovery of the New World. Government officials decided to organize a World's Fair to celebrate the occasion. New York City, St. Louis, Washington, D.C., and Chicago were competing for the honor of hosting the World's Fair. Finally, the U.S. Congress chose Chicago as the host city, and President Benjamin Harrison signed the official paper showing that Chicago would be the location of the World's Fair in 1893. 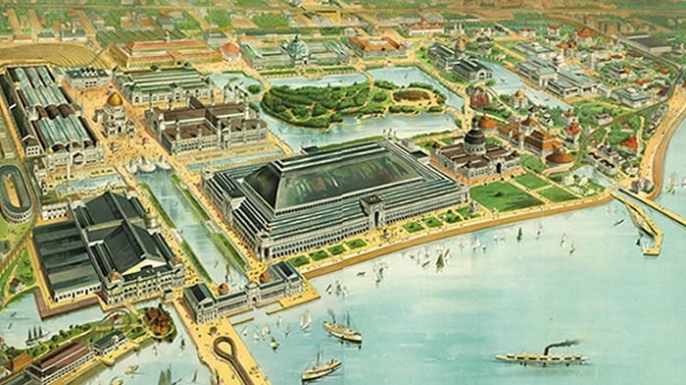 The people involved in planning the World's Fair wanted to make it as grand as they could. The Paris Universal Exposition had been held in 1889, and the United States wanted this World's Fair to be even greater than the Paris event. Many different attractions were built for the fairgrounds in Jackson Park, including the first Ferris wheel that was ever made. The Ferris wheel was 264 feet high, and it had 36 cars. Each car could hold 60 people, so more than 2,000 people could ride on the Ferris wheel at one time. The midway at the World's Fair covered 13 full blocks, and it was full of stages, rides, souvenir stands, restaurants, and shops. Daniel Burnham was the director of works of the World's Fair, so he was very involved with planning the architecture of the buildings at the fairgrounds. It took workers three years to build the White City, which is what people called the fairgrounds. The organizers of the fair wanted the buildings to look glamorous with fancy architecture. The workers covered the outsides of the buildings with white plaster so they looked like they were made of marble. Workers also built lagoons and canals, and visitors could take rides on gondolas. The World's Fair featured exhibits from 46 different nations. The General Electric Company and Westinghouse were competing with each other to win the contract for providing electricity to the World's Fair. Westinghouse won the contract, and this company was in charge of lighting up the World's Fair and all of its buildings in Chicago. Nikola Tesla's new alternating-current system for electrical power provided stunning lights for the World's Fair. Fairgoers were not used to seeing so much illumination, so the White City seemed especially brilliant to them. The streets of the fair were lit, buildings had lights on them, and huge spotlights were even moving over the grounds at night. 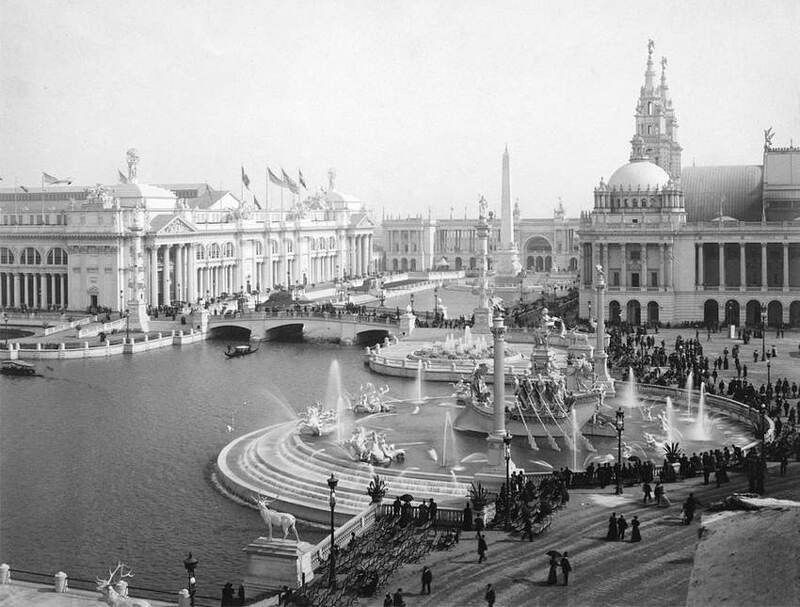 The World's Fair opened on May 1, 1893, and it closed on Oct. 30, 1893. President Grover Cleveland gave the opening address in Chicago. In the six months of the World's Fair's operation, more than 27.5 million people attended the festivities. On October 28, 1893, two days before the end of the fair, Chicago's mayor was assassinated. Carter Harrison Sr. had recently been re-elected, but Patrick Eugene Predergast shot him. Instead of the planned closing ceremonies for the World's Fair, organizers held a public memorial for the mayor.